Please note that the content of this book primarily consists of articles available from Wikipedia or other free sources online. 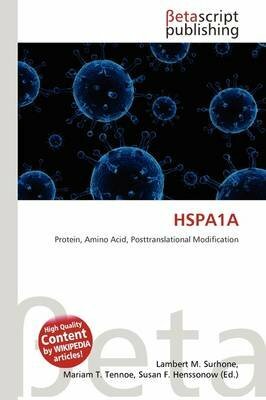 Heat shock 70 kDa protein 1 is a protein that in humans is encoded by the HSPA1A gene.This intronless gene encodes a 70kDa heat shock protein which is a member of the heat shock protein 70 family. In conjunction with other heat shock proteins, this protein stabilizes existing proteins against aggregation and mediates the folding of newly translated proteins in the cytosol and in organelles.